i am actually pretty excited about october because there will be some yummy seasonal beers and i will also be doing widget week soon. 7 days (maybe only 6, don't remeber if i have enough cans) of tasty beverages that all have widgets in them. 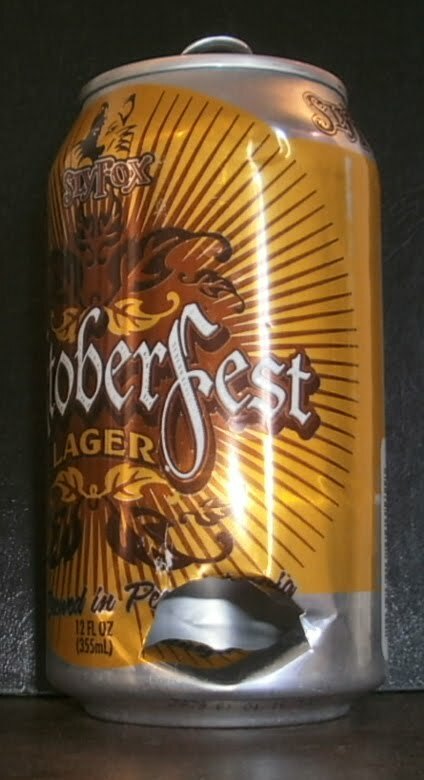 this sly fox oktoberfest hit the spot while surrounded by pumpkins in the kroger parking lot.